New Zealand has joined 16 other countries in urging Japan's government to stop killing whales in the Southern Ocean in the name of scientific research. Two Brazil-led demarches in Tokyo have also asked Japan to recall its whaling fleet from the Southern Ocean. Duty Minister Jim Anderton said New Zealand had joined with other countries to denounce the Japanese Whale Research Programme (JARPA II) which is expected to take up to 935 minke whales from the Southern Ocean Whale Sanctuary this season. "The New Zealand government is strongly opposed to Japan's 'scientific' whaling programme. There is no scientific justification to use lethal methods to provide information on whale populations. 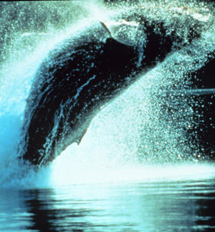 "Whales are iconic mammals which New Zealanders value highly. Of particular concern are plans by Japan to expand its lethal research programme to include catching and killing endangered humpback and fin whales," Mr Anderton said. See the text of the diplomatic protest on whaling that was delivered to the Japanese Government, released by the New Zealand Government. The first demarche - or diplomatic representation - took place on 16 January with representatives of 16 governments meeting the Japan Ministry of Foreign Affairs. The second demarche to the Japanese Fisheries Agency took place on 17 January. Mr Anderton said New Zealand would continue to work for an end to whaling under the guise of scientific research. "New Zealand has been at the forefront of international efforts to prevent whaling, working with other likeminded countries. I expect Conservation Minister Chris Carter will be attending the next meeting of the International Whaling Commission in St Kitts and Nevis in June where New Zealand will again work strongly to preserve the moratorium on commercial whaling and pursue all available channels to cease whaling activities altogether," Mr Anderton said.